On this page you'll see a listing of providers from which you can buy ESO Gold. This overview not only includes the Elder Scrolls Online Gold prices of every shop, but also a customer rating. Shops listed as trusted sellers have a proven track record and are usually safe to buy from. Our ESO Gold list has been last updated on April 24, 2019. The next update is scheduled for April 26, 2019. As of April 25, 2019 the median price for 50,000 is $2.43. Currently there are 34 Elder Scrolls Online Gold prices in our database. We also offer a comparison of different Elder Scrolls Online powerleveling companies and ESO game time card suppliers. The Elder Scrolls Online is an MMO game released on April 2014 and developed by Zenimax Online Studios. Players have a choice of four classes: Dragon Knight, Templar, Sorcerer and Nightblade. The game is set in the continent Tamriel and involves a mixture of free roaming, quests and random happenings. In the game, there are three alliances: the First Aldmeri Dominion, the Daggerfall Covenant, and the Ebonheart Pact. Elder Scrolls Online Gold, also known as ESO gold, is the universal currency of the game and used by all three alliances. Aside from the usual questing and leveling, the most popular means of obtaining gold, tend to be crafting and trade-skill related. Even though gold income from those activities depend a lot on the market, they tend to be a lot less erratic than that from dungeon runs (which can vary greatly, depending on how lucky one gets with drops). MMOBUX tracks ESO gold prices across all servers and provides reviews and ratings for individual gold sellers. While prices can fluctuate, in general, the price is the highest in the first week of the game's release. Within the first two months, the biggest devaluation is over. This coincides with gold seller characters having reached the level cap and having found reputable ways of making gold at that level. The general downwards trend will continue from there on at a much slower pace. However, the release of expansions or a transition to free-to-play can cause shortages of Elder Scrolls Online gold, resulting in temporary price hikes. Elder Scrolls Online steps into a dark and bloody alley with the release of the Dark Brotherhood DLC, which lets you murder for gold. Dark Brotherhood is included with Active ESO Plus membership or can be purchased for 2000 Crowns in the in-game store. Learn how you can make the cost of the DLC worth it by earning even more gold through assassinations, dungeon clears and world boss kills. Welcome to the dark side. The Dark Brotherhood patch lets you slit throats and stab backs for profit, because in the world of Elder Scrolls Online, there are very rich people who will gladly give you gold to permanently remove a troublesome thorn. In the new DLC, you can train as a Dark Brotherhood assassin, a blade for hire with the freedom to take on simple assassination contracts or mass killing sprees while earning the good graces of your superiors. The Dark Brotherhood is a notorious group in the Gold Coast that will pay you handsomely for your killing prowess. If you have no qualms getting blood on your hands, there are plenty of lucrative contract kill quests. 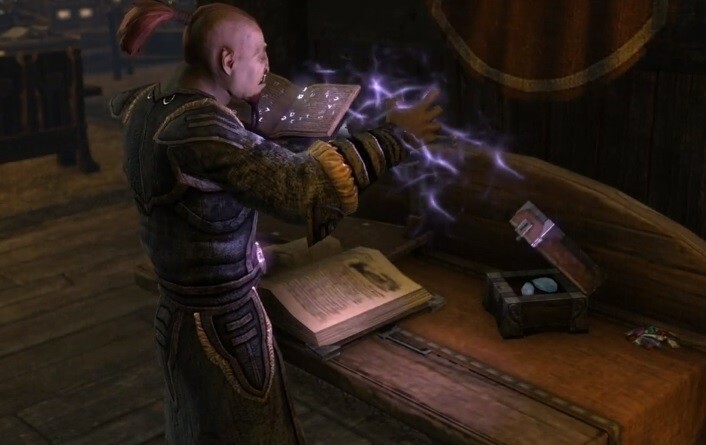 Just speak to the Dark Elf assassin Elam Drals who maintains the Dark Brotherhood's books to find out which hapless targets you can put to eternal rest for a tall stack of glistening gold. Sharpen your skills enough and earn a notorious enough reputation, and you may be tasked with special missions directly from your dark masters and fulfill a Black Sacrament, slaying a victim named by the Night Mother herself. Simply find and talk to Speaker Terenus to see if you can take on these most sacred of missions to Dark Brotherhood assassins. Compared to simple contract kill quests, the Black Sacrament raises the bar in difficulty and gold rewards. You will need to break into secured subterranean locations, avoid guards, disable traps and perform a variety of stealth assassinations. Make sure to complete bonus objectives in order to attain the highest levels of prestige and rewards. A key advice for obtaining the best rewards and highest gold is to form your strategy around hiding from sight and striking the killing blow without anyone seeing or noticing you. If you are already adept in performing heists, then you will not likely encounter much trouble in this area. For many Elder Scrolls fans, the westernmost region of Cyrodiil, the Gold Coast, is a wisp of a memory last seen in The Elder Scrolls IV: Oblivion installment. But the Dark Brotherhood patch opens up the crooked path to Anvil and Kvatch during the Interregnum, a time when the two cities were plagued with deadly intrigue. You can travel to the Gold Coast to take on an array of new repeatable activities and rack up gold by taking on odd jobs for a number of desperate parties. For example, there are bounty quests where you can put your martial skill to good use and earn gold after the client’s problem has been solved by your expert use of force. Daily bounties are available in both cities of Anvil and Kvatch. Dark Brotherhood also delivers two new delves, Hrota Cave and Garlas Agea, which feature all-new challenges and rewards for solo players. Delves not only test your limits as a solo player, but you come out of them with heavy pockets of gold because you do not have to split your rewards with others. It is also a good strategy to farm gold and items by moving from one delve to the next instead of running it one after the other, as it prevents you from burning out from the repetitive content and tends to yield better loot. If you want a huge chunk of gold and a huge achievement under your hero belt, then take on the two new world boss encounters: The Kvatch Arena and Limenauruus the minotaur at Tribune's Folly. Found in the northeast corner of Kvatch, the arena will plunge you into the gladiator pits. You will need to defeat waves of enemies so focus fire and target prioritization are critical. You also need to spread apart in the arena to minimize area of effect damage. It might seem intuitive to fight Limenauruus him on with more people, but upwards of 10 people the lag starts to become noticeable due to the high concentration of players in one area plus the additional minions that he summons. The lag, at its worst, can be lethal since you may no longer be able to dodge the minotaur's onslaught, especially his area of effect attacks, which are marked with red circles and inflict very high damage in a short span of time. The lag also prevents you from using potions or getting heals in time to survive. Melee fighters might find it more troublesome to deal with him than ranged attackers, but veteran players who have taken down Limenauruus recommend using a heavy attack with one-hand and shield, dual wielding, bows and two-handed weapons like great swords, mauls and battle axes. These are preferable to restore Stamina, and is a key tactic in keeping up with the beast. Dungeon running is one of the best ways to quickly amass gold in Elder Scrolls Online, but you may have been dissuaded from doing so for a number of reasons. It may be because of the high amount of toxic or uncooperative players, or the clunky grouping features that make it difficult to do a painless run. Luckily, the Dark Brotherhood update will roll out further improvements and new features to the Grouping Tool. These include a group ready check, vote-to-kick system and updated queue time that makes it that much smoother to run dungeons – changes that may just make dungeon running worth your time now. The easiest way of making money in the Elder Scrolls Online is simply by doing the quests you're given at each major hub. This'll make up a large portion of your income, regardless of whether you're speeding through the game or crafting/collecting a ton on the side. Loot everything you see and gather all nodes you come across. Early on in the game, make sure to loot every enemy you come across. You'll be vendoring the majority of those items, but that money adds up and it's a great way to earn it early on if you're a new player. Getting a mount as soon as it becomes available will let you complete quests faster, getting you rewards and experience faster. It'll also let you find nodes a whole lot quicker and bypass smaller fights that waste your time in between questing hubs. For your first mount, make sure to level it up with more inventory space. The more bag space you have, the more junk and crafting materials you'll be able to hold while you're out questing. Porting back and forth to towns and questing areas can eat up a bunch of time, so don't be afraid to spend money early on for additional bag space, as they'll pay themselves off quickly. MMORPGs are powered by their players, and this is especially true in the Elder Scrolls Online with its guild system. You can join up to five guilds on your account, and it's best to join as many different crafting guilds as you can. Not only will you have a great place to sell gathering materials and crafted goods, it's also a great place to forge relationships with other players that you can trade you crafted items with. Remember that items crafted by other players yield better results when deconstructing. Before moving to a different zone, make sure that you have every single area in the map explored completely. There are a ton of different out of the way quests to find that can be very profitable. In addition to that, going off the beaten path will allow you to find a ton of material nodes for crafting as well as dungeons that don't have a quest associated with them. These dungeons are a great place to grind when you're burnt out on questing because the mobs and bosses within them tend to respawn quickly and drop great loot. Alts are a great way to make additional money. In one regard, they're pretty much free bag space. You can funnel your excess materials from your main character to your alts very easily with the way their set up. In addition to that, you can use them to focus on other crafting professions and just use your main as a gatherer. They'll be able to specialize their crafting professions easily, as the majority of that is based on waiting for skills to completely upgrade. Earning gold on Elder Scrolls Online, like in many MMORPGs, can be very tedious. Sometimes players don't want to spend time farming mobs all day just so they can earn enough money to purchase something special. Luckily, there are always many places to purchase in game gold with real life money online. However, there's a risk that you could get your account hacked by a shady gold vendor, and no one wants that. So how does one stay secure when purchasing gold online? The first thing you want to do is shop around and see exactly what all options are out there. Not only is this a good way to find the best price, it's also a good way to get a feel for the different businesses offering gold selling services. Look around for different websites until you've gotten a nice handful of different results. Or you just check at our price comparison service to see which shop offer the best elder scrolls online gold price. Afterwards, start scrutinizing them to see if they're someone that can be trusted. Is the server secure? Does the website have a good layout? Does the site receive good rating from reliable review and rating website like Bizrate or MMOBUX? Does the site provide good live support online? A lot of sites won't have those things, but that doesn't necessarily mean they're completely untrustworthy. Having those things are good indicators that they take themselves seriously and they aren't just some fly by night service that will take your gold, disappear, and months later hack your account. Check the website's history to see how long's it's been around. Services like archive.org and domaintools.com will give you a good idea of how long they've been in business. Once you've narrowed your selection down a little bit, make sure the service you're planning on doing business with is using a trusted third party payment processer, such as PayPal. Never give credit card information directly to gold vendors. Many irreputable companies will try to ask your Elder Scrolls Online account information. Avoid that at all cost. If you have to create an account on the gold vendor's page, make sure to use a different password and username than the one you've used in the game. Following these steps won't guarantee your safety, but it will take steps to better protect it. Making sure your account doesn't get hacked is just one half of your security concern, though. You want to make sure that Bethesda doesn't know you're buying gold, or else you might get it taken away or even have your account banned completely. It's common to ask our peers for recommendations, so some people will want to ask the friends they play with in-game. Finding a good gold vendor through word of mouth isn't bad, since you trust a human being more than an advertisement. However, it's important to never talk about buying gold in game with anyone, even if you're communicating to them through whisper chat. Bethesda will have access to read everything you say. If they're you're friend it's best to use a third party chat service online outside the game. If you don't know anyone who purchases gold, try finding a third party website like MMOBUX.com to see which is the recommended shop to purchase the elder scrolls online gold. There are a lot of places to purchase gold for Elder Scrolls Online, just make sure to stay safe while you do so. When it comes to making gold in The Elder Scrolls Online, there are multiple paths a player can follow. These paths all depend on how you enjoy the game and what type of gameplay options you prefer. The three following guides will break down these playstyle preferences and give you detailed tips for how to make the most out of your gold-collecting endeavors. Earning gold can often be a difficult task for players who enjoy PvP in most MMORPGs. In TESO, you will find that being a PvPer saves you one important step when it comes to gold spending-- your first mount. By taking part in Cyrodil as soon as you are able to and earning enough PvP currency to purchase the PvP mount, you can save yourself a good chunk of gold. While not PvPing, you can consider selling raw crafting materials to earn gold. You don't need to to raise any crafting or gathering professions to gather raw materials out in the world. This makes it a simple way to earn money without a large time commitment. Players who enjoy crafting will be able to earn a large amount of gold in TESO. Since players can only master two crafting professions, if you level up crafting eso professions quickly and specialize in crafted goods such as weapons or armor, you can earn quite a bit of gold by selling crafted goods on the open market. Master your chosen professions as quickly as possible and reap the rewards. Also, don't forget about racial weapons and armor. If you notice that there's a particular hole in the market for racial weapons or armor, fill up that hole and give players that unique look. If you're the type of player who doesn't enjoy crafting or PvP, you will most likely be interested in powerleveling in the elder scrolls online as quickly as possible and earning enough gold to purchase a mount. Prioritize completing quests to earn those gold rewards. If you enjoy gathering and selling raw goods on the marketplace, you can gather raw materials for other crafters. If not, you should try and do any quests that are available as well as keep an eye out for rare armor and weapon drops that can be sold. Make sure to save your gold and spend it on items that will directly assist you in the leveling process. Mounts should be given a priority. You'll also want to keep your weapons and armor fairly updated. Don't be afraid to explore in order to find hidden quests and treasures. Earning gold in The Elder Scrolls Online may seem like a daunting task, but it doesn't have to be. There are many options for earning gold. Whether you are a PvP player, PvE player or someone who enjoys crafting, you can find the perfect way to earn enough gold to meet all of your adventuring needs. Elder Scrolls Online gold promises to be the breakout currency for real money trading (RMT) sites in 2014, and is highly anticipated to pick up the slack in sales from waning interest in traditional moneymakers such as World of Warcraft gold. Elder Scrolls Online is set to go live on April 4 for PC and Mac, and sometime in June for the next-gen gaming consoles, PlayStation 4 and Xbox One. Among the massively multiplayer online (MMO) games launching this year, Elder Scrolls Online has one of the biggest hype trains behind it. The sandbox adventure MMO has consistently been named or voted as one of the most anticipated games in 2014 by prominent sites such as Metacritic, IGN, MMORPG.com and The Escapist. The game's popularity is driven by its storied heritage as the first MMO to be made from one of the most successful franchises in single-player role-playing game, The Elder Scrolls. (The franchise is a gaming behemoth with the latest Elder Scrolls V: Skyrim console release selling an impressive 20 million copies worldwide). Fans are looking forward to explore more of the iconic fantasy world of Tamriel, but this time around with thousands of other players in what will be a massively multiplayer playground and battlefield. With millions expected to buy the game even with its subscription fee model, Elder Scrolls Online gold -- also known as TESO gold - will likely become one of the hottest MMO commodities in 2014. As early as now, the biggest RMT sites such as Koala Credits and InGameDelivery have confirmed their intention to sell the in-game currency, and might offer related services from power leveling, CD keys to item sales. Dozens of newer domains named after elder scrolls gold have also popped up in the past couple of months in anticipation of huge player demand for gold services. 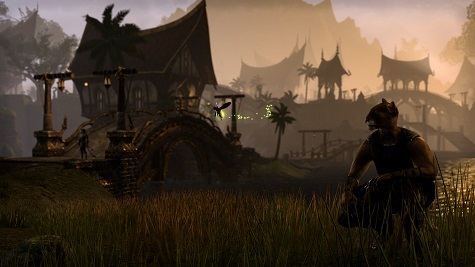 Elder Scrolls Online gold will have plenty of uses based on how the game is designed. For instance, leveling progression will be different for each of the three factions. This will encourage players to roll multiple characters and seek out convenient gold services to reduce the re-leveling grind. Game content is also very expansive from the get-go. A maximum level of 50 has been set when the game releases, and it will take a player probably more than a hundred hours to reach that level cap. In the early launch period, Elder Scrolls Online gold demand will likely be driven by levelers and casual players who will want to buy powerful new gear for their characters. 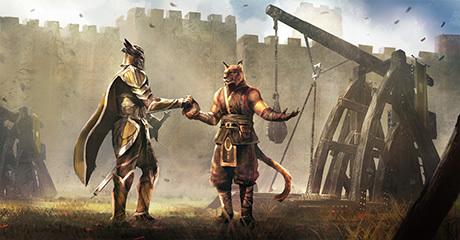 Then after a few months, there should be a rapid increase in raiding and competitive PvP activities, which are traditionally the most popular drivers for TESO gold orders. Elder Scrolls Online gold will likely dominate sales for most of the summer, although demand may moderate when notable competitors like Everquest Next and WildStar which will make their expected debuts in the latter half of 2014. The former is the anticipated third iteration of the seminal MMO series and boasts of a loyal following, while the latter has been steadily building buzz for its ease of play and quirky appeal. Still, if Elder Scrolls Online delivers an engrossing adventure like past hits in the series, then the related drop in subscribers and gold sales may be minimized. Crafting in the Elder Scrolls Online is one of the great ways to gain the Elder Scrolls Online gold. Thus, it is very important to learn how to craft in the game. There are six crafting professions in The Elder Schools Online. These professions appear early in the game at around levels 5-6. Crafting professions aren't taught by an NPC. Instead, each character automatically knows how to craft and can choose which crafts to level. While it's possible to gain skill in multiple crafts, it's only possible to master two crafts. Alchemy allows players to create potions and other concoctions using herbs and other ingredients. Herbs are found in the world for the most part. All players automatically know how to gather herbs. Alchemists need an Alchemy Station to create potions. To create potions, you combine ingredients and discover new recipes. Blacksmithing allows players to create heavy armor and metal-based weaponry such as axes, swords and daggers. Blacksmiths need ore that can be mined around the world. All characters have the innate ability to mine ore. To craft new items, players combine ingredients at a Blacksmithing Station. Ore is first crafted into ingots. Blacksmiths, which maybe the richest crafting profession, can create racial armor by using special ingredients as well as improve existing items with tempers and break down items for raw materials. A Clothier takes raw jute and clothing fibers that are found around the world and creates light armor. They also are able to use leather that drops off enemies to create medium armor. A Clothier needs a Clothing Station. All characters have the innate ability to gather jute. Clothing Stations allow Clothiers to create new armor, create racial armor, upgrade existing armor with tannin and break down armor. Enchanters create glyphs which are used on weapons and armor to grant the player bonus passive effects and extra attributes. Glyphs are created with runestones, which are found in tiny shrine-type objects around the world. Anyone can loot these. There are three types of runes. When combined in unique combinations, new glyphs and recipes are learned. Enchanters need an Enchanting Station. Provisioners create food and drink items using raw materials that are gathered around the world or discovered within barrels and crates. Players can begin creating food and drink items as soon as they begin the game. All that's needed is ingredients and a Cooking Fire. Provisioners can even learn new recipes from looking in crates and barrels. Woodworkers create bows, staffs and shields using wood that's naturally found around the world. All characters can gather wood. Woodworking requires the use of a Woodworking Station. Ingredients are combined to discover new recipes. Players are also able to use resin to upgrade existing bows, staffs and shields as well as break down items for raw materials. Racial woodworking items can also be crafted. Crafters in TESO will level up their chosen professions using a system that works similar to the EXP system in normal leveling. While crafting and discovering new items, players will gain access to new items to craft and new crafting skills. Some crafted items could be sell at high price in the market. The crafting system at its core is surrounded largely around the notion of discovery. Enter your email address and target price and we will send you an email the next time Elder Scrolls Online Gold are available at that price.